I have one thing to say about this forensic mystery targeted at YA readers. Really great book, and really terrible cover. I haven’t read a lot of gritty forensic mysteries with a younger protagonist, so that’s what drew me to the book. Catelyn is just about to graduate high school, and wants to become a medical examiner. That’s handy, since her father’s the town coroner. When a local murder shocks the small town, she has a front row seat to all the evidence and the investigation. Of course in addition to a murder mystery, there are relationship issues and family issues, as one would expect in a YA novel. In this book, there’s the mystery of Catelyn’s mother who left years ago, as well as two young men she can’t decide are threats or allies. There’s also an interesting theme parsing out where science meets religion meets fake mumbo jumbo when a famous psychic comes to town. And of course there has to be danger, and there’s plenty of that. The forensic scenes were well done–just enough ugly reality and facts to keep things interesting without going full CSI and being gross. The interactions were also well done. I found this an easy book to read, and was sorry to see it hasn’t done better. This is a case where I hope the author gets the rights back and is able to republish at some point. I think the publisher did this book a disservice. 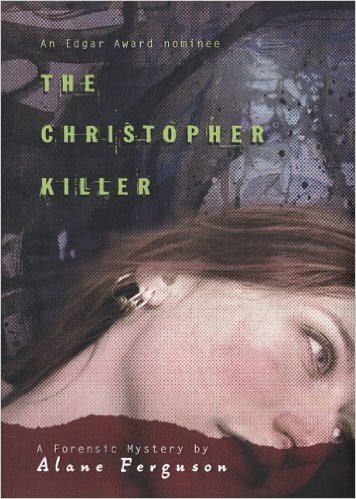 Overall, a very enjoyable murder mystery, suitable for both adult and YA readers.